From our iconic Choc Pop and Joker ice lollies to our indulgent Rapture range of chocolate coated ice creams – what’s not to love about our Dale Farm range of ice creams!? We have been developing our ice cream in the Irish market for more than 40 years, offering a wide range of products with something to suit everyone’s tastebuds! In 2018, we launched a record 10 new products, many proving a great hit with you, our consumers. In 2019, several new products and packaging refreshes are set to make a big impression with innovative flavours such as our retro Fruit Salad flavour Helter Skelter and rich Rapture Chocolate Orange. Our Mini Fro-Yos are also new to the market. These mini frozen yogurt lollies with fruit flavoured coating and less than 30 calories per lolly are great for a bitesize treat. 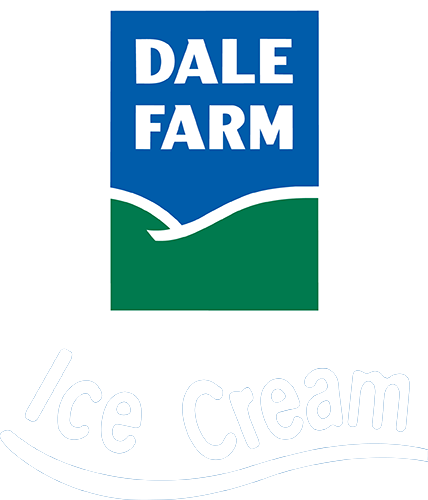 This summer keep an eye out for the return of our summer campaign which will showcase the extensive Dale Farm ice cream range across several different platforms such as a vibrant outdoor, radio and social media. Watch out for the return of our ‘Big Summer Road Trip’ which sees our specially commissioned Dale Farm Ice Cream van travel to key events and locations throughout the island of Ireland.